High resolution, in situ photographs of Aven subfossils. (Taken from Rosenberger et al. p. 3). Yesterday my friend at work sent me this paper because she had heard of my interest in bones. This article features a graveyard – not of humans but of fossil lemurs and other fauna. An expedition of some flooded freshwater caves in Tsimanampetsotsa National Park, Madagascar was undertaken to investigate the paleontological potential of the caves. On this preliminary investigation several species were identified including birds, reptiles, small mammals and large vertebrates and that this assemblage represents ‘a reasonable cross-section of the known extinct fauna found in the region of Tsimanampetsotsa National Park’ along with some species that are still living today. From this range of fauna discovered the most abundant were the giants lemurs and appears to be one of the most richest sites in Madagascar. As this expedition was conducted to explore the site no specific measurements or counts were made regarding the skeletal remains. However, future investigation may be able to shed light on past biodiversity in that area and the time period that they existed. I will try to keep an eye on for developments of this site in the future as it has great potential. You can read the article here which also includes a video taken during a diving trip into the caves. Reference: Rosenberger, A. L. et al. 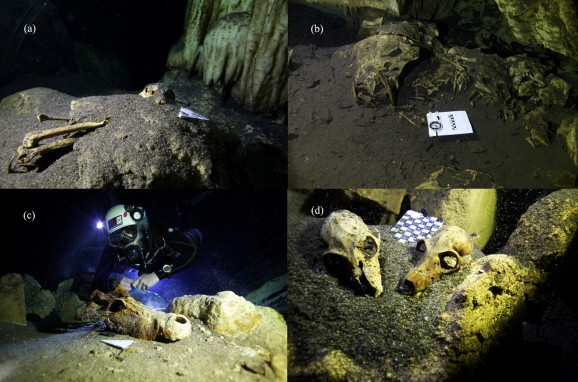 Giant subfossil lemur graveyard discovered, submerged, in Madagascar. Journal of Human Evolution. [In press at time of writing]. 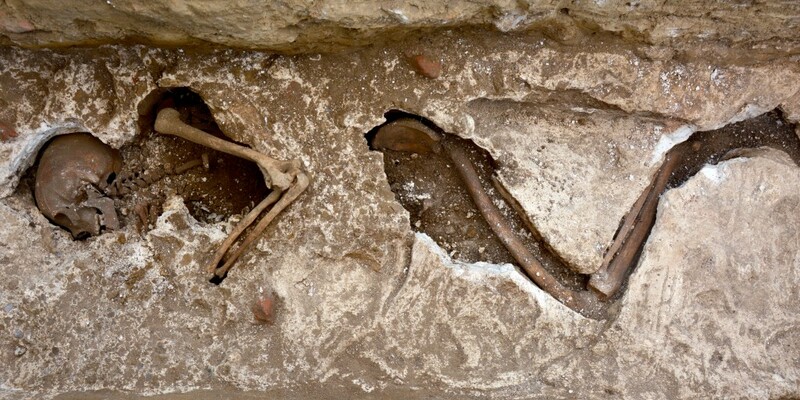 Anthropologists in Italy have been excavating an abandoned medieval church and have uncovered skeletons which date from the Medieval period running through to the mid-1800s. From these skeletons the DNA is going to be extracted from their teeth and analysis carried out on soil from their stomach area. Why do this? The researchers are hoping to gain more knowledge into the bacteria which caused the Black Death as a very similar strain of the bacteria, Yersinia pestis, still exists in some small rodents in parts of the world today. They want to know why the bacteria moved from rodent to humans and what made the plague spread so quickly in the 14oos. In another grave, dating to a later period, a mass grave was discovered where the individuals looked to have been buried in a rush. One skeleton in particular was of interest to the researchers as she was the perfect specimen as nearly every bone was in-tact. Again the researchers want to know what killed so many people and why they were buried so hastily. Currently the hypothesis is cholera and now they want to trace the evolution of the disease. By conducting research into the dead’s DNA modern medicine may be improved and new vaccines or medicines may be created. This is the reason why we must conduct research on our dead – they are amazing and insightful specimens which may help the future human population. The many ways in which we encounter the dead body in contemporary society. PhD Student chatting about things that are Roman and Magical. Usually both.